Histocampatibility covers the genetic, immunologic, and the chemical studies on allograft rejection process. The book is composed of 13 chapters that describe how these studies relate to medicine, organ transplantation in man, basic immunology, cell membrane structures, and cancer research. 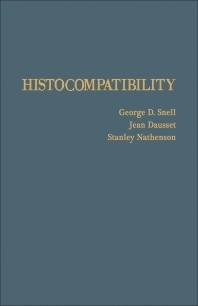 After briefly dealing with the early studies on isografts and allografts in laboratory animals, the book describes the histogenetic methods of gene manipulation and transplantation that permit identification of individual histocompatibility loci. The following chapter examines the significance of congenic resistant lines in determining the diversity of histocompatibility loci and allele and immune response genes. Other chapters present immunogenetic and serological methods, as well as the applications of these methods in studying alloantigens and H-2 complex loci and of immunogenetic methods to human. The book also discusses the practical implication of HLA immunogenetics in organ transplantation and describes the biochemical, immunochemical, and dynamic properties of alloantigens. A chapter discusses the associations between HLA system and disease and the various mechanisms that have been suggested to explain these associations. The last chapter focuses on allograft reaction and on established facts of cellular immunity. This book is a valuable source of information for researchers in the fields of medicine, organ transplantation in man, basic immunology, cell membrane structures, and cancer.